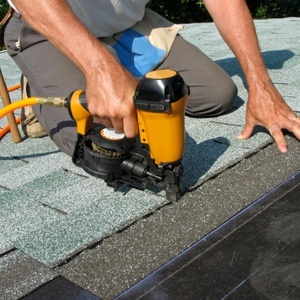 Call Us for Experienced Roofing Services | Douglas Roofing Co., Inc. Welcome to Douglas Roofing Co., Inc.! We offer a full range of roofing services to residents and commercial property owners in the Northern Virginia Metro area. We are committed to providing our customers with high-quality work and competitive prices. If you are looking for a licensed roofing company with workmanship guarantees, then you have come to the right place. We are insured and can provide references upon request. Just contact our reliable staff today to learn more about our company and services. One of the things that sets our business apart is our highly skilled employees. Owner Douglas L. Rimel, Sr., has more than 40 years in the industry and sees to it that all of his employees are well trained. We have certified CertainTeed Installers, and our employees are honest and reliable. We provide you with the quality workmanship and customer service you deserve. From roofs to gutters, ventilation, and more, we are here to help you. All you need to do is call us today for a FREE estimate and we will take care of the rest! Whether you are dealing with damage caused by a recent storm or problems created by last winter’s harsh weather, or you just simply need maintenance, we can provide the quality products and services you need. Since 1985, our belief in honest communication, hard work, and the use of durable products remains true. We believe when our work is done, you will be completely satisfied and share our name with your family and friends. If you are interested in a FREE estimate, please give us a call, click on the email, or fill out the form on the Contact page. Copyright © Douglas Roofing Co., Inc., 2019. All rights reserved.